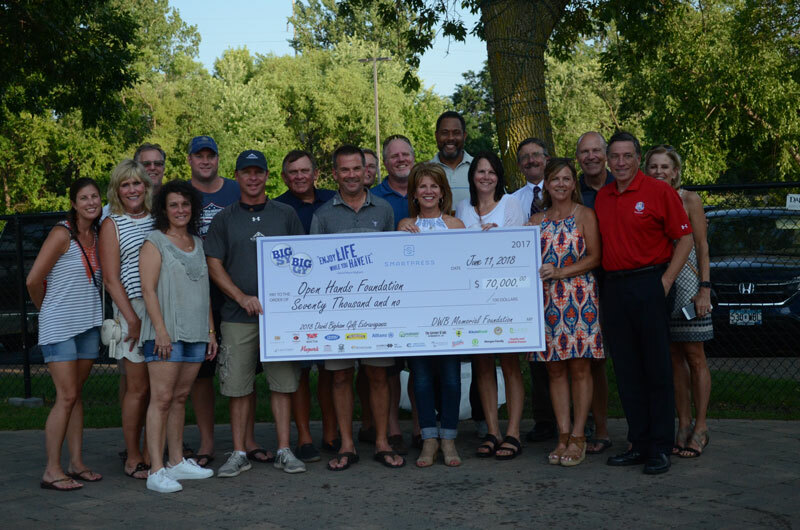 The DWB Memorial Foundation unveils a $70,000 donation to the Open Hands Foundation Aug. 8 at Maynard’s Restaurant in Excelsior. The funds were raised at the seventh Annual David Bigham Golf Extravaganza June 11 at Windsong Farm Golf Club in Maple Plain. Open Hands helps youth in crisis in the southwest Twin Cities communities by providing a place to go when they need a warm bed, caring adults and help to get reunited with their families. Volunteers with the DWB Memorial Foundation, which also organizes the annual North American Pond Hockey Championship, organized the event. Since 2012, the foundation has raised over $1 million for charitable organizations.